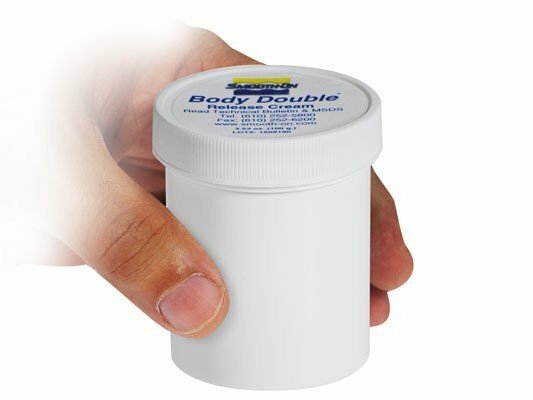 Body Double Release Cream is a non-toxic skin conditioner that will aid in releasing Body Double mold rubber from skin surfaces with or without hair. It washes off with soap and water. It is highly concentrated, so a little goes a long way. To use, wash intended body section with soap and water and dry thoroughly. 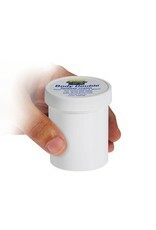 Liberally apply Body Double Release Cream to all skin surfaces (bare and hair covered) that will contact mold rubber. Take Special Care to aggressively message and work the cream into and over body hair. Body hair not thoroughly coated with release cream will become encapsulated and stuck in rubber - difficult & painful to remove.